What's On My PC – Learning about computer information technology… a byte at a time! The primary focus of What’s On My PC is to provide tech-related information for people at home (i.e. Microsoft Windows, Chrome OS, Android, How-To’s, Tech News, Software Downloads, Apps, Features, Tech Deals, Reviews & more). Toggle “Backup & Sync” to the “on” position. At this point on the selections under “Backup & Sync” you should see your Google (Gmail) account. Scroll down to “Upload Size” and select “High Quality” (free unlimited storage). Note: Google will allow you to upload unlimited images providing you let Google convert the images to the “High Quality” setting. If you select “Original”, you will eat up your online space at Google. Very easy; and will allow you to see your photos online. You can then, at your convenience, delete the photos on your phone when space becomes an issue. Note: A Google account is required. Typically, you should already have a Google account when your Android phone was set up for your personal use. A new version of GeekUninstaller Portable has been released. GeekUninstaller allows you to uninstall local software and clean up some of the files that can be left behind. It’s packaged in PortableApps.com Format so it can easily integrate with the PortableApps.com Platform. GeekUninstaller is freeware for personal and educational use. If you’re trying to troubleshoot problems with your Windows 10 PC, one option is to enter Safe Mode. In Windows 10 Safe Mode you can safely uninstall troublesome programs, resolve driver issues, diagnose hardware conflicts, and more. But how to boot in Safe Mode is less obvious in Windows 10 than we’ve seen in older Windows releases. In this guide we’ll show you how to start Windows 10 in Safe Mode using version 1809 (October 2018 Update). When most people think of forms in Excel, they think about crafting a VBA form from scratch. But Excel actually provides a pre-made form you can use to quickly enter data in seconds rather than minutes. Of all the Excel tips you may learn, this one will save you the most time. This one is for the folks at home and is something that I use all of the time. If you go to the bottom left corner of your screen and “right mouse click” on the Windows 10 Start Menu Button it will cause a menu to appear. This menu is a quick way to get into the various (commonly used) background settings and options in Windows. This also serves as a great way to explore and learn about these settings in a more user-friendly way. A new version of ccPortable has been released. ccPortable assists you with running CCleaner® in a portable way without needing to install it in Windows so you can clean local PCs on the go. It’s packaged as a portable app so you communicate on the go and it’s in PortableApps.com Format so it can easily integrate with the PortableApps.com Platform. It’s released as freeware for personal use. When using Google to perform a search you can use what is called “qualifiers” (or common search techniques). One such qualifier that I often use is the word “define”. For example, let’s find the definition of the word “cognitive”. Then, hit “Enter” on your keyboard to get the result(s) or definition for “cognitive”. If you notice there is no space between the qualifier “define” and “cognitive”. They are separated by a colon (:). You can also leave out the colon, but I have gotten into the habit of using the colon due that I use other qualifiers. Here are examples of other qualifiers or common search techniques – click here. This website was added to the “Bookmarks4Techs Collection” (on 4/17/2019) based on the quality of content and frequency of posting. If you see that this site is no longer active, please contact me so that I can rectify the matter. Free YouTube to MP3 Converter is a quick and easy way to download and convert YouTube videos and convert them into an audio format at the original quality without any loss. Downloading and installing Free YouTube to MP3 Converter is quick and easy. Did you ever run into a situation where your computer froze and nothing is working (including CTRL+ALT+DEL)? Typically, this is an indication that an issue is present; especially, if it occurs on a frequent basis. If the computer does freeze or lock up on you, sometimes rebooting may rectify the problem; but, how do you force the computer to shut off, short of pulling the plug? On “most” computers, if you hold in on the “power button” on the computer, the computer will shut “off”. I usually wait about 10 seconds, hit the button again (do not hold in) to reboot (start) the computer. 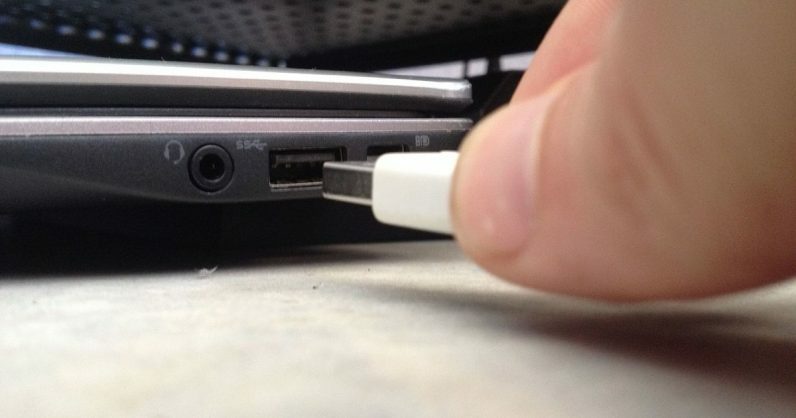 Small Yet Mighty – The laptop charger that’s the size of a phone charger. Privacy Eraser Free has been designed to help you achieve the most secure digital life that you can, by cleaning not only your Internet history and downloads, but also wiping your drives clean and deleting your data beyond recovery. Key Features include: Schedule scans. Multi-user support. Intuitive interface. Rapid scanning tools. Balabolka is a feature-rich program to read text aloud from a variety of file types including DOC, RTF, PDF, ODT, FB2 and HTML. The program uses Microsoft’s own Speech API 4 and 5, but lets you fine tune various voice parameters, including rate and pitch and a substitution list can also be applied to improve the quality of the voice’s articulation. The program supports customized font and background color, skins, control reading from the system tray or by the global hotkeys. Can someone tell me, is this a Windows 10 Update bug? While working on my computer (Windows 10), I noticed this bug… I have been reading about all the problems Microsoft is experiencing with their updates and was wondering if this bug is related to a recent update that may have been installed??? If you’re looking for a password manager for your Android, below are five of the best. Source link to get more on these apps is reflected below. On this list, here at “What’s On My PC”, I use LastPass (on all of my computers and devices). Quick Tip: Should I Leave My Computer “ON” 24/7? Here at “What’s On My PC”, I typically fire up my PC in the morning, leave it “on” all day and then put it to bed (turn it “off”) at night. I like the idea of booting the computer when I get up to refresh it by clearing the memory, let the Window’s updates take, etc… I also don’t like the idea of leaving a computer on 24/7 because you just upped the risk of the computer being compromised by another person (such as a child) and or externally via the internet. I know at some places of employment, PC’s are left “on” 24/7. Also, as an added note; if I leave my house for an extended period of time, I turn the computer “off”. This website was added to the “Bookmarks4Techs Collection” (on 4/15/2019) based on the quality of content and frequency of posting. If you see that this site is no longer active, please contact me so that I can rectify the matter. Using the “Show Desktop” button to show the Windows desktop is one of those options in Windows, that is right before your eyes, that most people do not know exists. If you move your mouse pointer to the very bottom right corner of your screen, to the taskbar, next to the time and date you should see a line or a sliver (actually called a button). If you hold your mouse pointer on that button the desktop will appear. You can actually click on that button to go directly to the desktop. You can also toggle back and forth from the desktop and whatever application you are in by clicking on that button. This is handy when you need to get to the desktop to quickly launch another app, document, etc… I personally have found this to be quite useful. If this button is not allowing you to peek at the desktop, it may be turned “off”. To turn it “on”, right mouse click on the “Windows Start Button”, click on “Settings”, then click on “Personalization”, then click on “Taskbar”. On the right side of the screen, you will see an option to toggle the desktop peek preview on and off. An eyecatcher? You bet! This little 45-pound unicycle can carry up to 280 pounds and the 1000W motor allows for speeds up to 20 miles per hour! The removable 60-volt / 5.8-Ah battery is fully charged from 20-100% in one hour and can go 15 miles on a 45-minute charge! The unicycle ships equipped with an LED display displaying battery and speed information, a bright-white high-quality offroad style LED headlight, and an electronic horn. UltraVNC is an enhanced VNC distribution. It’s based on RealVNC, features TightVNC smart cursor handling and encoding, almost all the special functionalities that can be found in eSVNC and Vdacc-VNC, and a lot more. PortableApps.com Platform is an all-in-one tool for portable software download, management and updating. An included launcher shows nested folders organized automatically by function or favorite status, as well as a cascading app view on right-click of the tray icon. The program’s appearance can be customized with transparency and several color, texture, and background options. I need a Webcam. What should I buy? I have always had a preference for Logitech products. If I was buying for myself, I would go with either of the 2 options below. The $20 camera is at a lower resolution but will work fine. The $67 camera is at a higher resolution. You can read the reviews on both and you can see some samples that people have uploaded. Both cameras are compatible with Windows 7 thru Windows 10. Whether you’re trying to make a recovery disk or you’re trying to do something more complex like a remote desktop, we’ll show you how to use Windows 10 like a pro. Chrome Story – Tips, news, and resources for Chromebook and Chromecast users. If you use Chrome, Chrome or Chromecast, we’ve got you covered! This website was added to the “Bookmarks4Techs Collection” (on 4/11/2019) based on the quality of content and frequency of posting. If you see that this site is no longer active, please contact me so that I can rectify the matter. Typically, with few exceptions, when you purchase an Android smartphone (or tablet), there are apps on the phone that are pre-installed and cannot be uninstalled (or removed) if you do not need them. Since you cannot uninstall (or remove) these apps, I suggest that you disable them to prevent them from running in the background. To do this (each phone is slightly different), go into the main system settings of the phone and look for the app list or menu. In that menu locate the app you want to disable and look for the option to disable it. For example, below is an image of the where I disabled the “Gallery” app on my phone. This will save me space on the phone and will save on background memory. Autorun Organizer is an advanced autorun manager which allows you to visually control the boot up sequence of the system, turn off programs you do not want to load on start up, and specify the order other programs should run when you load Windows. Foxit Reader is a small, fast, and feature rich PDF viewer which allows you to open, view, and print any PDF file. Unlike other free PDF readers, Foxit Reader also includes easy to use collaboration features like the ability to add annotations to PDF, fill out PDF forms, and share information with social networks. Foxit Reader has a small footprint that starts up instantly, renders PDF files quickly and uses very little memory, which is especially important with today’s mobile devices. The Foxit Reader is packed full of convenient and easy to use viewing, commenting and printing features that make document collaboration simple. Foxit Reader’s PDF secure platform insures worry free operation against malicious virus and provides a secure and reliable digital signature verification platform for PDF documents without putting the user at risk from falsified documents. Quick Tip: Where is the “Caps Lock” key on my Chromebook? When I first started using my Chromebook (Acer Chromebook 15), coming from using Windows all my life, the first mystery I encountered was; “Where is the Caps Lock Key?“. You know; the key you push down to toggle between lower and uppercase text. Mystery Solved: In Google’s method to their madness strategy, the “Caps Locks” key is not a readily identifiable key; instead, you must use a keyboard shortcut. If you hold the “ALT” key + “SEARCH” key in combination, this serves the same purpose as the “Caps Lock” key (to change to uppercase text). When you do that you will see in the notification area (bottom right corner) a small notification popup alerting you that the “Caps Lock” is “on”. To toggle it “off” either hit the “ALT” key + “SEARCH” key” again OR simply hit the “SHIFT” key. Also, as an added note, if you really do not like this at all, you can go into your Chromebook settings, look for “Keyboard” and you will see an option where you can change (or remap) what the “Search” key performs. Chromebooks are becoming the choice computer in many of the schools due to their ease of maintenance, better security, and low cost — CLICK HERE — to see what is out there. Wireshark is a network protocol analyzer for Unix and Windows. It allows you to examine data from a live network or from a capture file on disk. You can interactively browse the capture data, viewing summary and detail information for each packet. Has several powerful features, including a rich display filter language and the ability to view the reconstructed stream of a TCP session. How many of you have experienced or know someone that has experienced the tech support scam? Myself, I know quite a few people that have received these phone calls and have allowed the scammer to take control of their computer. In one instance, after the victim knew something was up and tried to back out, the scammer damaged the operating system on the computer to the point that the operating system had to be reinstalled. Hang up! If an unsolicited caller pressures you to act quickly and give up sensitive personal and financial information to fix an issue and/or engages in threatening, aggressive behavior, that’s a sign of a scam. Never hand over your financial information to unsolicited callers who try to charge you to remove computer viruses, malware, or ransomware, even if they have specific information about your computer. Never pay for tech support services with any type of gift card or by wiring funds. Never visit unverified websites and never download and install software that unsolicited callers try directing you to. Never agree to give control of your computer to any unsolicited caller to fix an issue you did not report—despite how convincing they may sound.